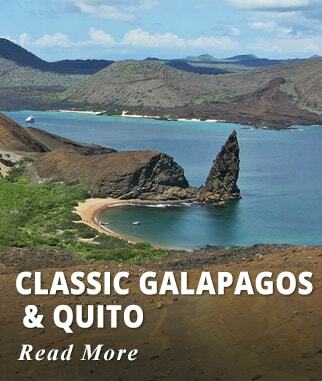 Experience the magic of the famous Galapagos Islands. Spend three nights onboard a Boutique Expedition Cruise Ship Cruising this famous Archipelago. The Ship has a 100-guest capacity with all the modern comforts. All your meals are included onboard along with 24-hour free coffee/tea station. Embark on daily excursions to explore the scheduled Islands always accompanied by a Naturalist Guide. 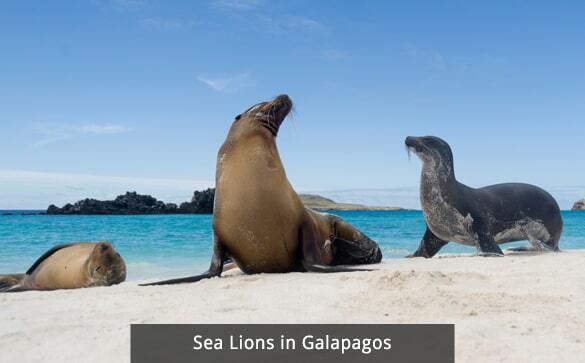 You may want to enjoy snorkeling (gear included) The Galapagos Islands are home to plenty of Marine life such as sea lions, penguins and sea turtles. There is also Kayaking available (at an extra cost), onboard lectures and other entertainment activities. 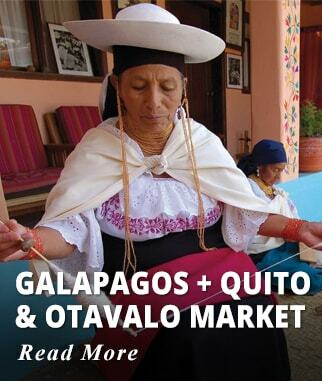 This itinerary also includes a Colonial Day City Tour in Quito. 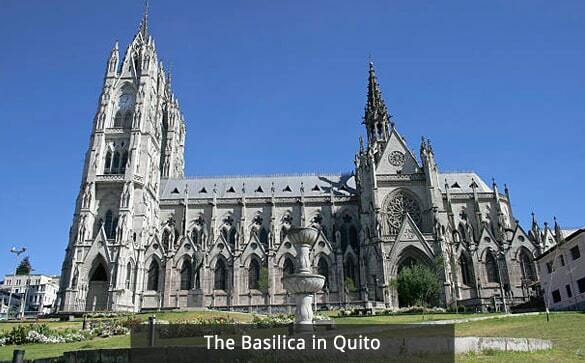 Quito is a World Heritage Site City. 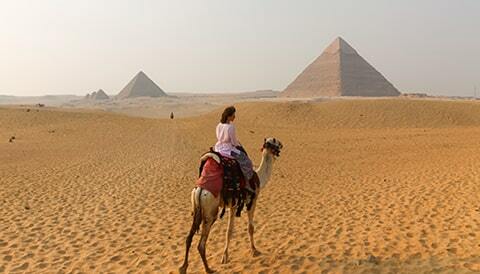 Our packages include International and Domestic flights, all transfers, all taxes. 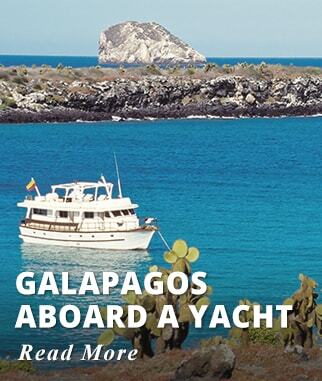 Galapagos Entrance Fee not included, required to be paid locally. Weekly Departures from October through November 30, 2019. Prices are higher during Summer (May 5 to Sept. 10), Christmas week and Easter holidays. Prices are per person based on double occupancy. Single Supplement is $1299 USD. 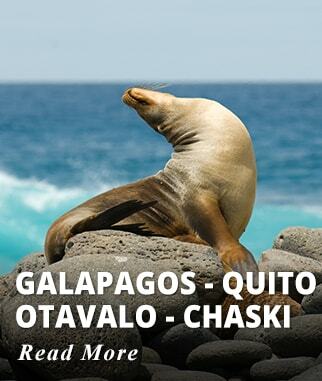 Early this morning depart from Quito or Guayaquil to the Island of Baltra in the Galapagos. 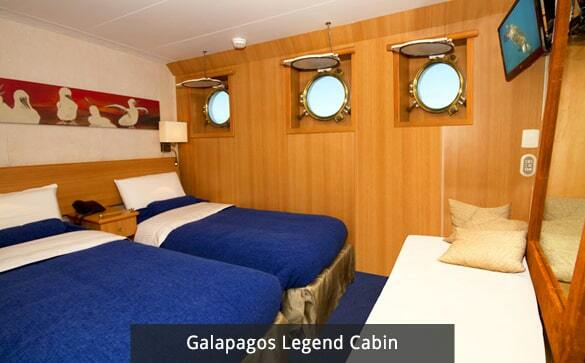 Upon arrival you will be transferred to the Pier to board the M/V Galapagos Legend, a 57 cabin Ship all with lower beds and private facilities. Santa Cruz Island – Highlands – Pit Craters: Dry landing. A 45-minute bus ride will take us to the Santa Cruz highlands, located to the northwest of Puerto Ayora, where we will find a natural reserve with giant tortoises. These enormous and slow-moving reptiles are responsible for the island's name and therefore approaching them in their humid and forested abode is always an inspiring adventure. 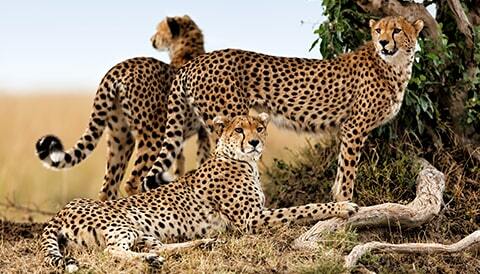 They can weigh between 250 and 300 kg and can live up to 150-200 years. In this area you have the opportunity to see tree and ground Darwin finches. We also visit Pit Craters created from the collapse of surface materials into chamber fissures underground. It's a great place to spot Vermilion Flycatcher as we walk inside an endemic Scalesia forest. Finish your excursion walking inside surprising lava tubes. 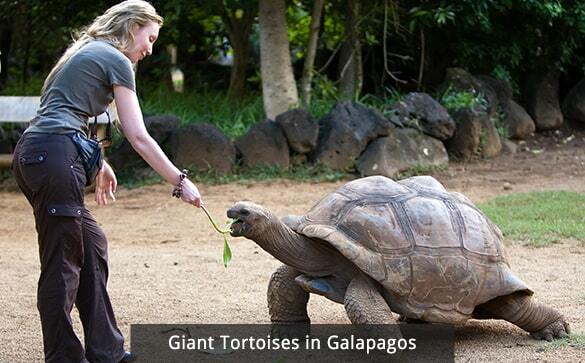 Activities: Visit Santa Cruz Island see Giant Tortoises, Pit Craters and lava tubes. Santiago Island – Egas Port: Wet landing on a beach of black volcanic sand, visited by Darwin in 1835. The first section of the trail is comprised of volcanic ash (eroded tuff) and the other half of partially uneven terrain is comprised of volcanic basaltic rock lounging the shoreline. The unique, truly striking layered terrain of Santiago's shores is home to a variety of resident and migrant birds, including the bizarre Yellow-crowned Night Heron and astounding array of marine wildlife including lobster, starfish and marine iguanas grazing on algae beds alongside Sally Light-foot Crabs. Colonies of endemic fur seals swimming in cool water pools formed by volcanic rocks are also a highlight. Great opportunity to snorkel off the beach. Duration: 1h30 walk / 1 hour snorkeling. 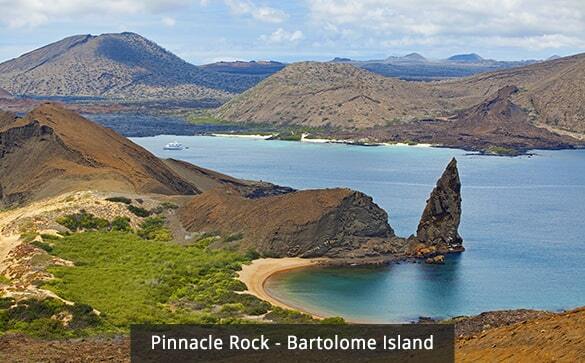 Bartolome Island: Dry or wet landing. We discover a fascinating moonscape formed by different volcanic parasitic cones lava bombs, spatter, cinder cones as we hike to the summit for impressive views of the surrounding islands, including the eroded tuff cone Pinnacle Rock. 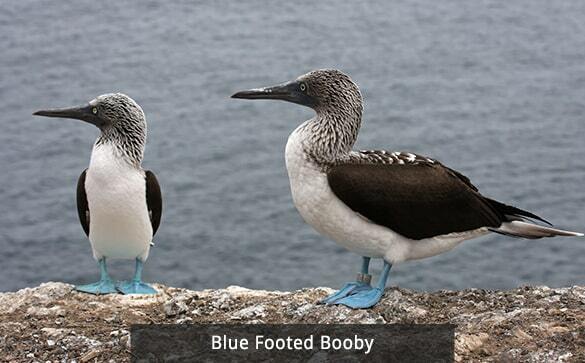 We also encounter marine iguanas, lava lizards and blue-footed boobies. Beach time is a great opportunity to snorkel and see (perhaps swim with) Galapagos Penguins, sea turtles and White-tipped Reef Sharks among a great variety of colorful fish. For many visitors, this may turn out to be the best of snorkeling experiences the water here is generally clear, without too much surf and full of marine life. Due to its geographical location, the lack of vegetation is immediately noticeable. Pioneer plants are observed, so called because they are the first to establish roots on new ground. They include Tiquilia nesiotica (which is endemic to the island) and Chamaesyce (known as sand mat or spurge in English), lava cactus, and Scalesia bushes. Behind the beach we have dunes covered by mangroves. Meals: Breakfast, Lunch and Dinner included aboard your cruise. Activities: In the morning visit Santiago Island afternoon visit Bartolome Island. Santa Cruz Island: Dry landing. We walk by a brackish lagoon where feeding flamingos can be occasionally found. The trail leads across typical dry zone vegetation up to Dragon Hill, an important nesting ground for endemic land iguanas, offering lovely views of the anchorage and neighboring islands. The forest is home to mockingbirds, Darwin's finches, Yellow Warblers and Galapagos Doves. North Seymour Island: Dry landing. This is perhaps one of the busiest tourist destinations on the archipelago. Off Baltra Island (where the airport is located) and not far from Santa Cruz, North Seymour is the most accessible for day trips out of Santa Cruz's main port, Puerto Ayora. An approximately two hour walk amidst large nesting colonies of blue-footed boobies, magnificent frigate birds and swallow-tailed gulls for an in depth encounter with sea bird breeding cycles and as well as sea lions. 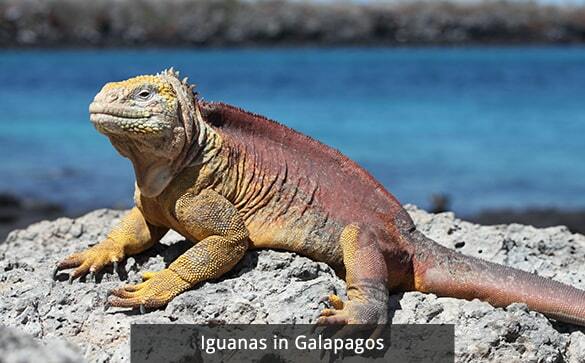 You will also encounter land iguanas, and on a lucky day, you might even come across a Galapagos Snake. There is opportunity for snorkeling off the dinghy. Duration: 2 hours walk, 30 minute snorkeling. Activities: In the morning visit Santa Cruz Island afternoon visit North Seymour Island. This morning enjoy your last excursion of the Galapagos Islands visiting Bachas Beach in Santa Cruz. Santa Cruz/Bachas Beach: Wet landing on the north side of Santa Cruz; behind the beach lie two small flamingo ponds with iguanas, coastal birds, Darwin finches, mockingbirds, and gulls, as well as interesting native and endemic vegetation, red and black mangroves, salt bushes, and much more. This beach is one of the main nesting sites of sea turtles* in the Galapagos. A female can lay eggs 3 or 4 times with an average of 70 eggs each, but then spend 3 or 5 years without breeding. At this paradisiacal site we will also find the remains of barges that sank long ago, once property of the United States Navy when they operated an airbase on Baltra Island during World War II. That is why the beach is called "Bachas" because the word "barges" in English was hard to pronounce for the local people. Duration: 1 hour walk / 1 hour snorkeling/swimming. Meals: Breakfast, and Lunch included aboard your cruise. 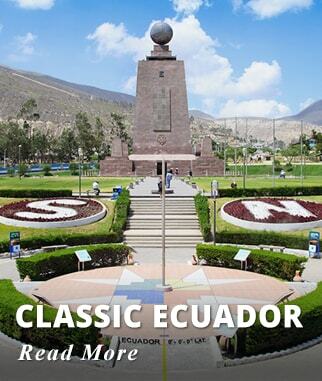 Activities: Disembark and Transfer to Baltra airport for return flight to Quito. 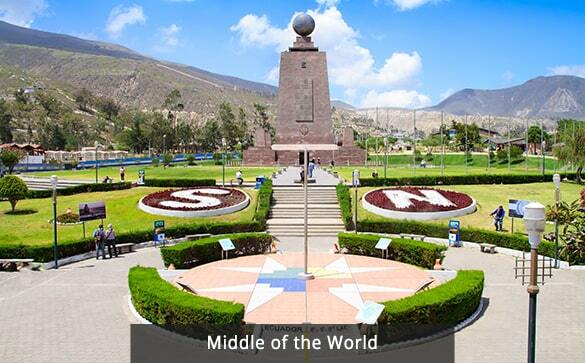 Upon arrival in Quito transfer to your Hotel. Overnight Quito. 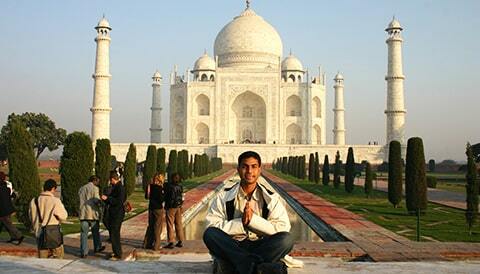 Our representative will assist you with your arrangements for your return trip. 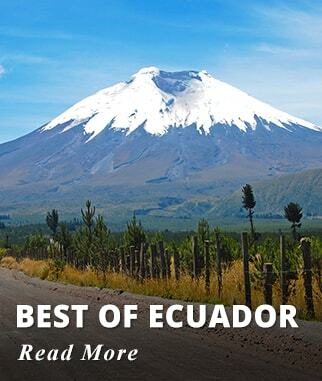 Three nights accommodation with breakfast in Quito or Guayaquil. 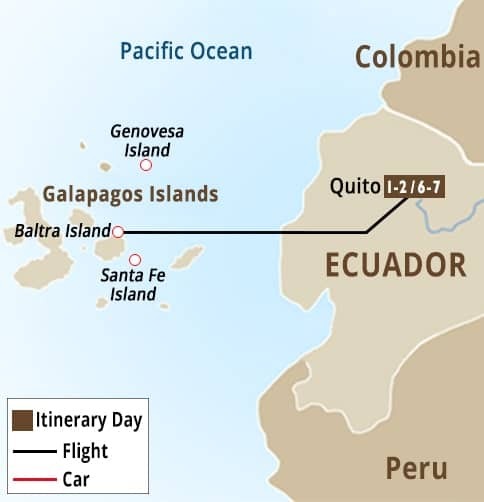 Domestic flight Quito or Guayaquil - Baltra Galapagos - Quito/Guayaquil. 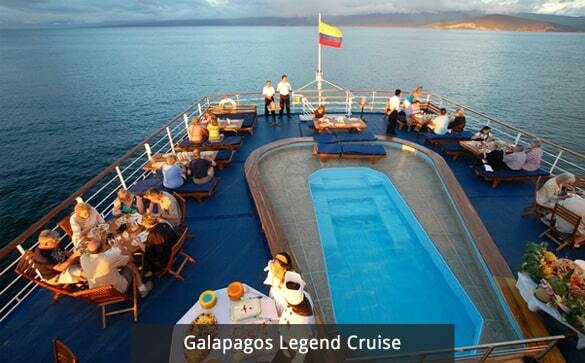 Three nights aboard the M/V Galapagos Legend 100 passenger expedition Ship. Standard Plus Cabin with Porthole or Similar. Enjoy the onboard swimming Pool. 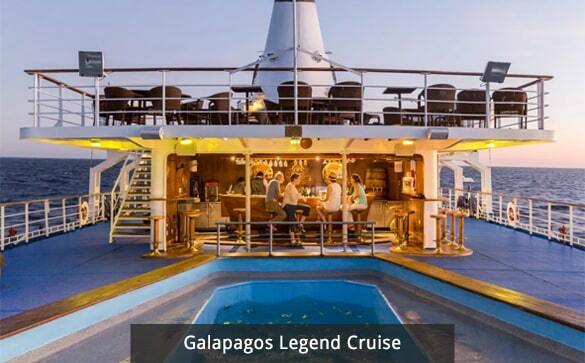 The Legend is one of the few Vessels offering an onboard Pool. 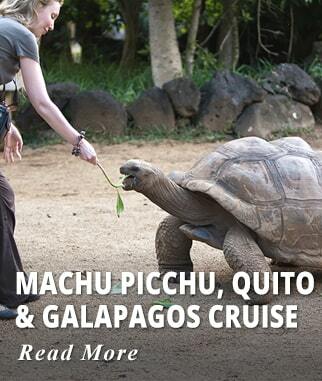 Breakfast, Lunch, and Dinner as per schedule aboard your Galapagos cruise. Coffee/Tea 24-hour station aboard your Galapagos Cruise. Airports check-in assistance and baggage handling. All transfers by an air-conditioned vehicle to and from airports. Transfers and Dinghy ride to/from Ports. Please note Islands visited vary depending on the itinerary available on the date of your trip. The itinerary will be confirmed at the time of booking. Entrance Fee to Galapagos USD 100 adult - USD 50 child under 12. Paid locally in cash. Wet Suits rental USD 25 for 3 and 4 nights cruise, USD 50 longer cruises. Kayak Rental USD 30 each use. Internet USD 32 for 10 mins (subject to change). Scuba Diving tour with Guide and Equipment. Please note you need to extend your stay onboard the Cruise to 4nights to be able to Dive.